A Chuckie Egg remake for DOS, but it runs fine on Windows XP native mode or DOSBOX. 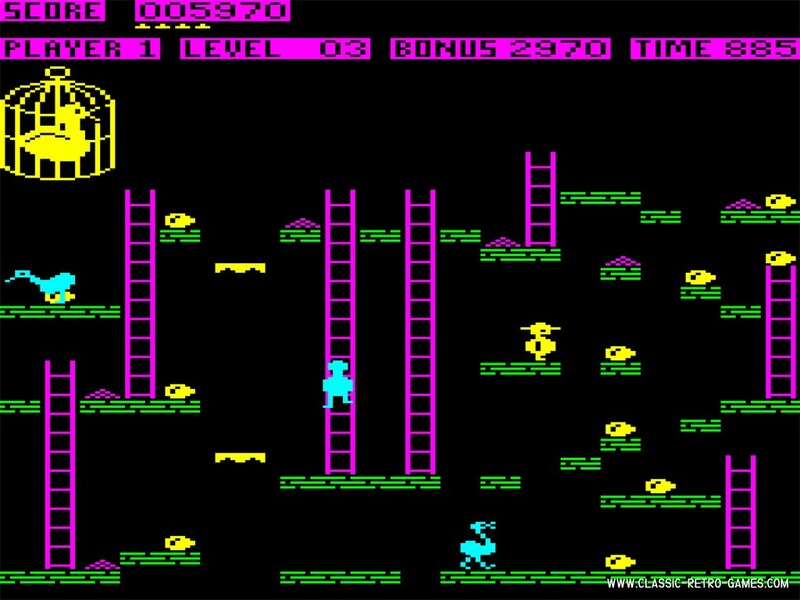 This Commodore 64 and ZX Spectrum game is an open source remake by Jozsef Laszlo. Currently rated: 3.1 / 5 stars by 33 gamers.